All S.T.A.R. teams are volunteer dog/handler pairs recruited from the Portland Metro area’s vibrant dog community. They are ably assisted by people without dogs who share the vision. Interested in joining our group? CLICK HERE to download a document summarizing what we are looking for in both dogs and humans. In 2014 we completed our Training Plan and S.T.A.R. Team-specific qualification test. From this point on, S.T.A.R. dogs DO NOT need to be registered with another animal therapy organization. Applicant dogs (with their human) will go through multi-stage, program-specific training and testing, and will serve a monitored apprenticeship in the field. We also welcome “guest appearances” from dogs who have passed their Canine Good Citizen (CGC) test. This allows us to reinforce messages about reading canine body language with examples from multiple breeds and sizes. S.T.A.R. dogs must be rock-solid around children, and interact with them without stress. Unbeknownst to the dogs, they acquire “personas” that support the goal of the therapist. Each dog is introduced with a subtle back story that will increase the odds that the children being visited will connect with them, and which will provide context for the training session. It also gives the therapist a toe in the door on specific topics. 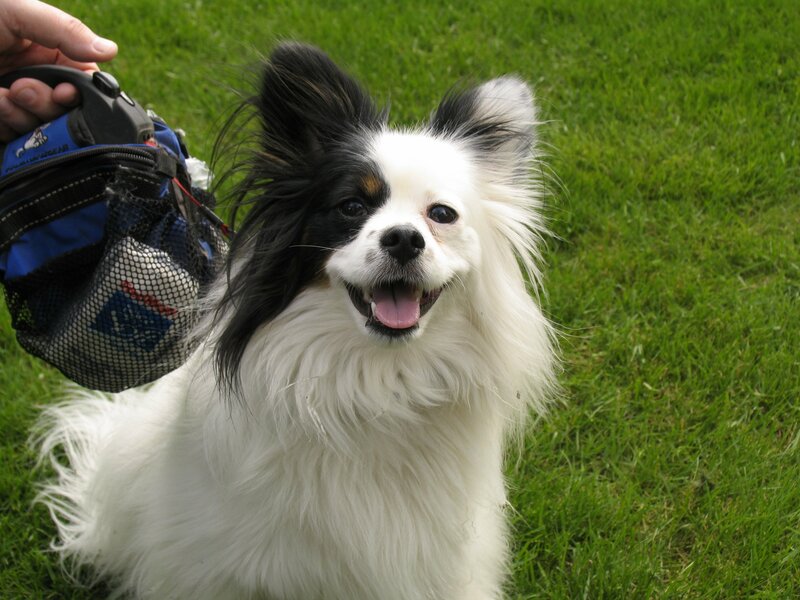 Eli, an over-sized and totally non-standard Papillon with multiple titles in canine sports, can be “little guy can make it in a big guy world” when working with small fry; or “ugly duckling makes good” when working with marginalized youths. Lili, his peppy younger sibling, has been variously “little sister who never gets to do anything because older brother gets all the attention”; and “dog whose owner loves her dearly but just doesn’t know how to communicate with her, and allows her to do stuff that gets her into trouble”. This last was the one that resonated with the teens at Harkins House in July, 2011. Our humans fall into several categories, depending on their level of involvement in the therapy sessions/classes. To ensure continuity for the young clients, there will be one S.T.A.R. handler for each assignment. This primary handler may bring in additional contributors and assistants as needed. CLICK HERE to download a document summarizing our requirements and expectations. Use ONLY positive training methods during S.T.A.R. sessions. Absolutely forgo behavior and language associated with violence or punishment during S.T.A.R. sessions. Be sensitive to the emotional and mental state of the young people they meet, carefully following the lead of the teacher/counselor/therapist. Pass the criminal background check required in most of the facilities we will be visiting. Have a good sense of humor! This is the key S.T.A.R. human in a therapy relationship. All S.T.A.R. handlers will be screened, and will be asked to attend orientation activities. This level handler must be comfortable having children interact with their dog, and must be calmly adept at making sure that interaction remains safe and controlled for all parties. It is understood that most trainers have a deep tool kit of training methods, but the primary trainer must commit to using the S.T.A.R. (See, Tag And Reward) model during therapy sessions. As the S.T.A.R. curriculum develops, this person will have an increasing fund of resources and ideas as they enter a therapy relationship – but the truth of the matter is that each session will be highly dependent on circumstances that are fluid and unpredictable, and the handler must be ready to creatively adapt on the fly. At the invitation of the S.T.A.R. 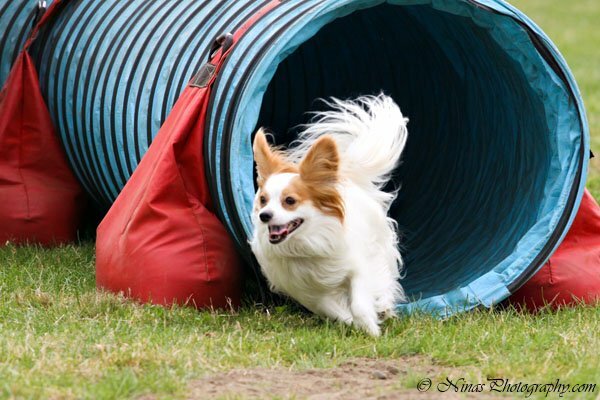 handler, other handlers – even those unfamiliar with clicker-training – may make carefully-controlled visits to demonstrate some of the fascinating range of canine skills. These handlers should be able to field questions from the youngsters, and willing to comply with the baseline requirements above. They are not expected to have their dogs physically interact with the kids, however. Those dogs who have achieved their CGC title may interact at their handlers’ discretion. These are the “extra hands” that can make a session move more smoothly. We had extraordinary luck in recruiting assistants for the pilots! The president of the Animal Aid Board of Directors assisted at Harkins House, and four energetic and intelligent seniors from LEP High assisted at McKay Elementary Spring 2011. Future assistants, in addition to meeting the baseline requirements above, will attend an orientation session so that they are brought up-to-speed on the theory behind S.T.A.R. and how it works. Because The Little Dog Laughed Animal-Assisted Therapy is a 501(c)(3) charity, being an assistant is a possible avenue for high school students to meet community service requirements. Our goal is to have an Board that includes representatives from the dog training world, humane education, counseling, and elementary education. Our Board may also be “boots on the ground” participants, but their primary contribution is bringing personal specialties to bear on defining and refining the program. CLICK HERE to learn more about the Directors.